Do You Dream About the FLW Cup? 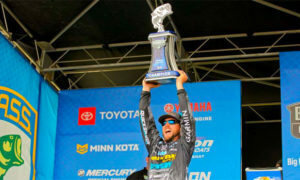 “It’s been a dream of mine since I was 8 or 9 years old to fish the Bassmasters. I wouldn’t pass up the Elite Series for the world. I’ll go broke if I have to, but you just can’t not do it. “It’s where my heart is. I promised my dad at a young age â€“ I said, ‘Dad, you’ll see me onstage at the Bassmasters before you die.’ Now it’s become a reality. He’s right â€“ or, if not “all,” lots of people have dreamed about being onstage at the Classic. We’ve all heard it many times and it fo’ sho’ makes sense since it’s the oldest, bestest, biggest, etc.-est tournament in bass fishing. 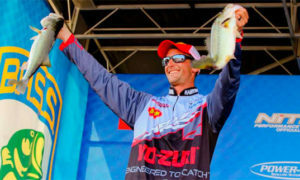 But Nate’s statement begs the Q: Has anyone had that same dream about FLW’s Forrest L. Wood Cup? Have you? Are you younger or older than 27? Let us know below! Never have dreamed about FLW. Always BASS and and the Classic and AOY. Course now that I’m fishing college stuff the FLW is the place to be. An yeah I dream about winning one! Over 27 by 4 years, and never really dreamed of raising whatever it is they raise in the FLW Cup. BASS on the other hand, I would love just to cross the Classic stage nevertheless raise that trophy. 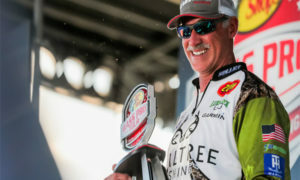 I’m 59 going on 40 and just qualified as a co-angler for my second Forrest Wood Cup in three years and I’m extremely thankful that FLW affords us the oppurtunity to make it to the big show. I am 27 years old, just like Nate. I have dreamed about fishing both of them. 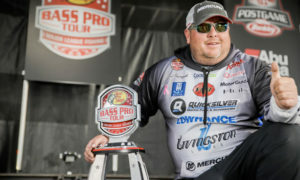 The Classic means more, because you ask the casual fisherman who won the Classic this year and they are 100X more likely to know KVD than Kevin Hawk. I’ve only dreamt of the classic. I can’t picture myself wearing a Mrs.Dash/Tampax tournament jersey, so I’ve never had dreams about FLW Cup. I’m 25, and I have never dreamed up winning an FLW event. I’ve dreamed of winning BASS tournaments since I was 12. TREIR both GREAT!!! But did you know that FLW was the TOUR that ROSE the payout ! 100,000.000, 200,000.00, Then 500,000.00, and 1,000,000.00. WE’d still be at 50,000.00 otherwise. Did you know Kevin Vandam has fished flw but never has won one. Many or most pro’s fish both if that’s all they do for a living. 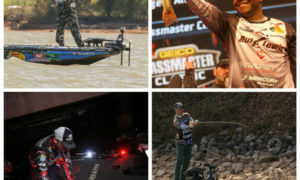 FLW has brought tournaments to a whole new level. Over 27 and love fishing.